How to note Cleaning Problems. How do you write out cleaning problems? Start at the top left and work your way down. 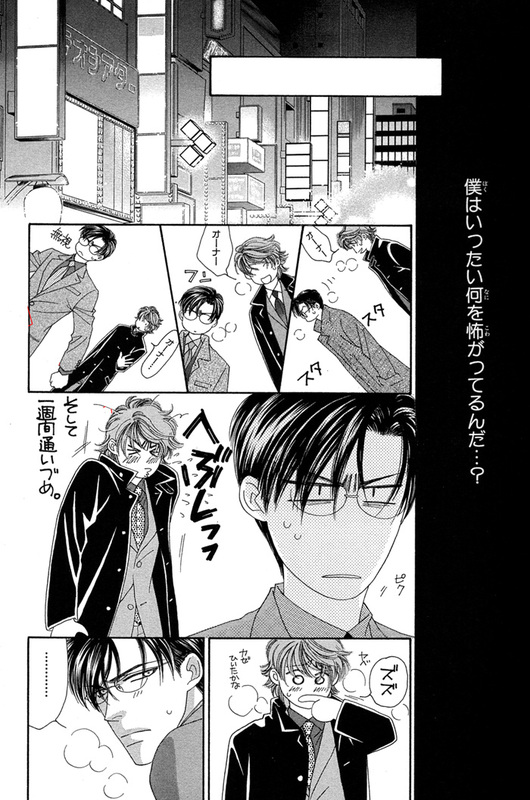 Change: […] get attacked just walking around like that. Current: Ah, I can’t remember either, but I was awake, at least. Change: I can’t remember either, but I was awake at least. I don’t think “ah” fits very well with his speech here. Removed second comma. Current: The way to handle Biyarohzu…. Don’t send one file for script mistakes and one file for cleaning mistakes. Don’t put text errors at the top of the file then cleaning errors at the bottom file. Merge it together. All fixes for page 4 should be under page 4. Nothing’s more annoying to editors than having to go back to a page they already had open just to erase out a piece of dust. 1. Read through the chapter like you would any other scanlation–getting lost in the story instead of looking for mistakes. If anything catches your eye, write it down. 2. Read through the chapter looking for contradicting sentences, obvious dust and typesetting mistakes (spelling, grammar, font’s the wrong color, font’s italic when it should be normal, etc ). Do this on a white background because any dust or cropping problems along the edges will be very noticable as you read. 3. Send your SINGLE and ONLY file of corrections off to the DP email. It should take at least an hour for a thirty page chapter if you’re rushing to meet a deadline. Here’s a short list of things you should be checking for as you QC. – Obviously crooked panel lines. Dust is anything left over from scanning. Editors use photoshop to make the whites white and blacks black, but if it was that easy…well… X__X This is a dramatization to make the explanations easier. If you ever get an entire chapter this dusty and underleveled, please email us ’cause someone’s monitor is on the fritz. This is what a dusty page looks like. You can see about three or four dots easily and if your monitor is good enough, you’ll see that the blacks are really dusty. But when you zoom in to 200% to check for dust, you’ll find a ton of dust. Things that are boxed in are dust spots or a patch that got left out when leveled. QCers do not need to use Photoshop to check levels (anymore)! You only need to check for dust at 100%, meaning you only need to skim for dust while you’re reading. Patches of dust usually happens where the page is wrinkled/popping up. Newsprint isn’t the best paper on the planet to scan and if the editor included the dust while leveling, the whole page would be overleveled. This is why dust can be overlooked during editing. The blacks on this page are not black and need to be leveled again. Another way to check levels is to use the Difference and Adjustment Layer tricks (see the Photoshop section) This is slower and more of a tool that editor use to check their levels. After the editor makes the corrections you’ve pointed out, the page should look like this. The dark dust has been dodged out of the whites, the blacks have been leveled again and any remaining light dust after re-leveling has been burned out of the blacks. Where do I get a program with an eyedropper?! QCers do not need to check levels in Photoshop–that is the editors job! But don’t let me stop you XD Image editing software is up on the FTP under [ Editing ]. Photoshop 6 is too old for actual editing because it doesn’t have Blending Options to make the stroke around text on screentones. However it’s not weighted down like CS2 is so if your PC’s lagging with CS2, try 6. Anything that has an eyedropper that actively grabs what color you’re over will do. Illustrator will not work; the eyedropper makes you release your mouse button before it acknowledges what color the eyedropper is over.